Dr. Zoe Goldman is back! It’s a regular day in the psych ward until a strange case arrives. Stranger than other cases that come in- this one has many of the doctors stumped. A young African-American girl has arrived in a catatonic state at Zoe’s hospital. With no way to identify her, Zoe is unsure how they are going to identify this girl- unless she wakes up and tells them exactly who she is. When other treatments prove to not work, Zoe and the doctors begin to think outside the box- and one day, a change is made. She wakes up and says her name is Candy. What happened to Candy? How did she get into the catatonic state? And is Candy truly safe? Zoe finds herself in ethical dilemmas as she struggles to make sense of what she should do about things at the hospital and how far she can go to save Candy from a source that she can’t see- but could be closer than Zoe even knows. After reading LITTLE BLACK LIES earlier this year, I was ready for a new Zoe Goldman book. 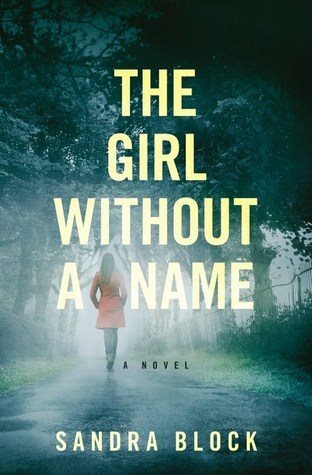 On the whole, THE GIRL WITHOUT A NAME delivers and I was pleased with Sandra Block’s sophomore effort. However, it took me some pages to get sucked into THE GIRL WITHOUT A NAME. It picks up not long after LITTLE BLACK LIES and yet, I found myself going “WHO are some of these characters (except for Jean Luc- I had no problem remembering that loathsome Frenchman). Once I got into the groove and refreshed my memory on who the key players were from LBL- well, it was smooth sailing. For the most part. So, Zoe leaves me conflicted. But good characters come with layers and Zoe delivers on layers. She’s hard to describe- and I think you could poll 100 people and we all wouldn’t be able to adequately describe Zoe- at least not to her full potential. The mystery in TGWAN, I think, is stronger than in LBL. You can tell Sandra Block put a lot of thought into the medical side as well as the mystery side- so kudos for that! The biq question: Do you have to read LITTLE BIG LIES before THE GIRL WITHOUT A NAME? Which technically TGWAN could be read as a stand-alone, I’m strongly recommending that you read them in order. It’ll make things in TGWAN a bit more clearer- and you’ll be able to appreciate some of Zoe’s behaviors more- if you know more backstory. Bottom line: Put it on your TBR list, folks. It’s def worth checking out!